When I travel, I like to experience a place in the most local way possible. On my recent trip to Rio de Janeiro, Brazil with PayPal, the theme of the trip was just that – the #PayPalCarioca experience. “Carioca” is a Brazilian term that refers to anything related to Rio de Janeiro; the people, the food, everything! 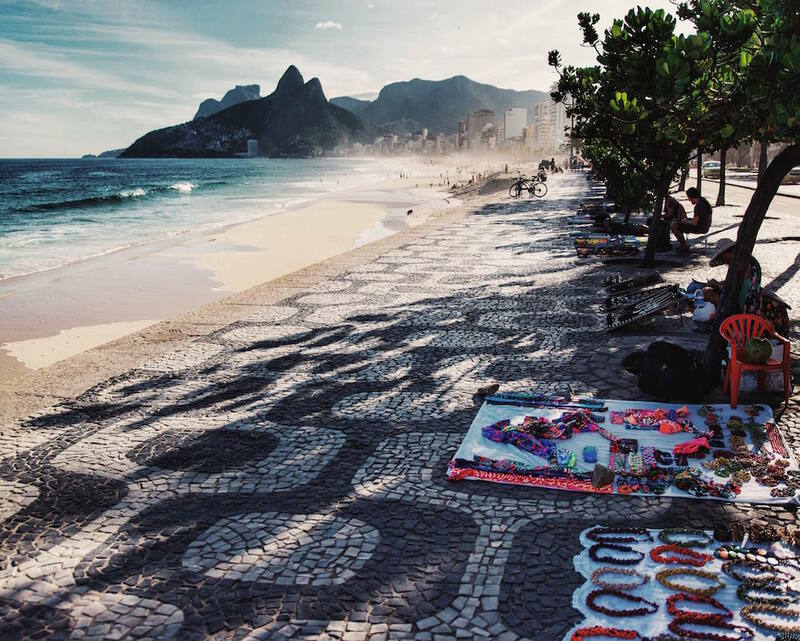 Rio celebrated its 450th birthday last year, and we got to experience the best of the city through the Carioca lens. Using PayPal as a digital wallet, there was almost no need for cash or credit cards the entire trip. A lot of travelers are concerned about theft and PayPal is an amazing way to cut out that possibility. Through PayPal, you can book accommodations, flights, taxis, car rentals, local tours and more, securely without sharing your financial data with local service providers. It was an amazing, action-packed trip. I got to see so many sides of Rio and I thought it would be great to share the top highlights with you. So, here is my “Best of Rio” list! Check it out and if you have any questions that I didn’t cover, leave a comment below and I will be happy to answer for you! 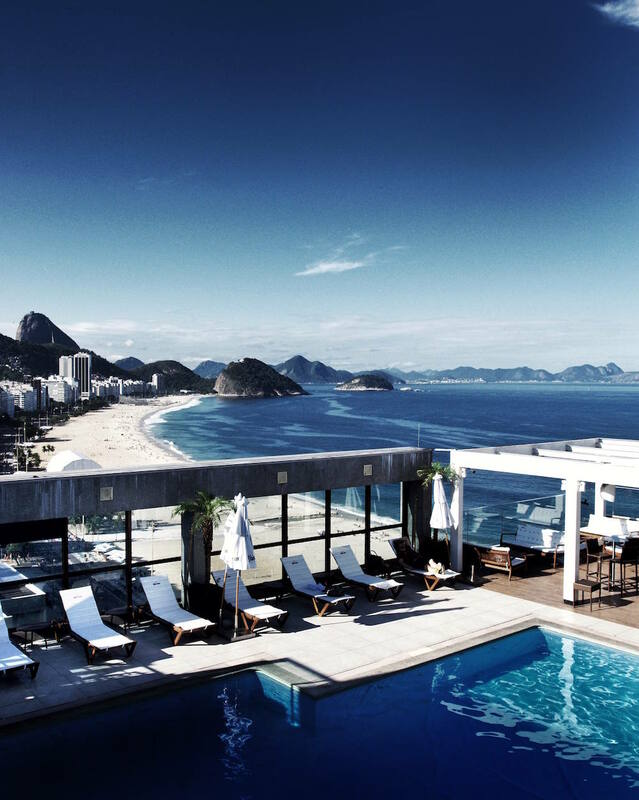 Located right in the middle of Copacabana, the Hotel Pestana Rio Atlântica boasts spacious rooms and panoramic views overlooking the famous Copacabana Beach. The hotel features an amazing rooftop pool, bar and lounge, sauna, jacuzzi, fitness center and more. Beach service is also available on Copacabana Beach from 9am-4pm everyday. The location is quite central to all of the major attractions around the city, making it a great home base, whether you’re visiting for business or pleasure. Oh and the wifi is fast and free – a definite bonus for international visitors. You can’t go to Brazil and not experience a true Brazilian steakhouse meal. Fogo de Chão (which literally translates to “ground fire”) is one of the best Brazilian steakhouses in Rio de Janeiro, featuring the traditional method of cooking steak beneath the ground. The restaurant features an abundant salad and sides bar. And of course, the waiters come around with the meat, right to your table and slice it fresh onto your plate. It’s a fantastic culinary experience and a must-try in Rio. The Sugarloaf Mountain is situated on a peninsula surrounded by the Atlantic Ocean. From atop the 396 meters (1,299 ft) peak, there are breathtaking views of Rio de Janeiro, including the Corcovado and Christ The Redeemer statue. 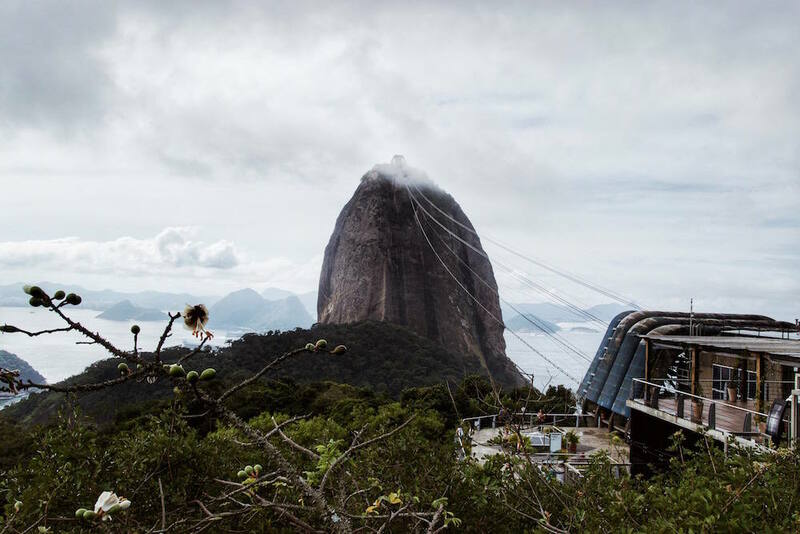 It takes two cable car rides to get to the top of the peak – the cableway itself has become a famous sight in Rio too. Possibly the most recognizable icon of Rio de Janeiro, the Christ The Redeemer statue does not disappoint. 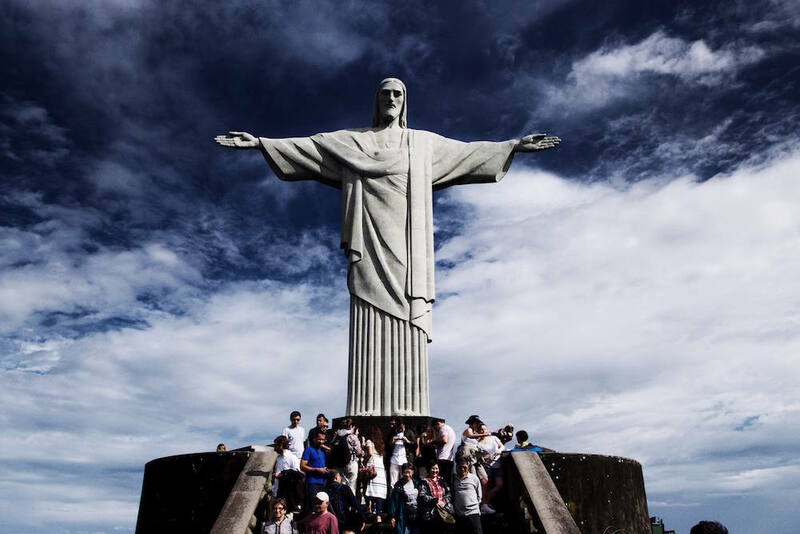 The largest art deco statue in the world, the Christ stands at 30 metres (98 ft.) tall, overlooking the city from atop the 700-metre (2,300 ft) Corcovado Mountain. It is a spectacular statue that boasts even more impressive views of the entire city. Smaller than its neighbor, Copacabana Beach, Ipanema Beach is a more rugged beach with larger waves and a dramatic view of the Morro Dois Irmãos (Two Brothers Mountain) at the Western end of the beach. Ipanema Beach is the local Carioca hot spot in the summertime and boasts breathtaking sunsets. Nestled between Copacabana and Ipanema is Arpoador beach, the birthplace of surfing in Brazil as a sport and lifestyle. Cariocas know this is the best place to be at sunset. And when the sun goes down, locals and visitors usually clap, celebrating the beauty of mother nature. Brazil is famous for Samba. Ginga Tropical is a multicultural experience that highlights all of the different regions of Brazil through live Samba music and captivating dance performances. Guests can expect to participate and learn to Samba too! 99Taxis is a simple, quick and safe way to request a registered taxi driver in Rio. Everything can be done within the 99Taxis app and of course, payment is done efficiently and securely through PayPal. I hope you found my Rio de Janeiro travel guide interesting and insightful. Happy travels and let me know what you think if you do end up visiting this incredible place! To read the full travel diary of my trip, click here. This post was generously sponsored by PayPal. However, as always all thoughts and opinions are my own. Great Tips! Love the photos!